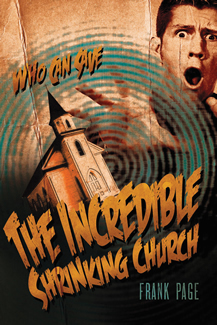 Who can save the incredible shrinking church? Southern Baptist Convention (SBC) president Frank Page enters the booming church growth book market from a fresh angle, writing from his own experience in leadership positions at several houses of worship that soon turned around on what had looked like a path of irreversible decline. Page’s insights are refreshingly simple. He urges pastors to address their shrinking churches with a spirit of faith rather than fear, instructing them to put on the whole armor of God to slay whatever giants have threatened attendance numbers, ministry impact, and the worship experience. In step with those initiatives are practical reminders to embrace the inevitability of change in various church programs, build the right team of leaders, learn from other turnaround churches, and reach out from comfort zones into the surrounding community.